As you all know, I am a huge pizza fan. I could eat it every day of the week and be happy as a clam. Even though I have what seems like an army of relatives out in the Chicago area, I can’t remember ever eating authentic deep-dish pizza in Chicago. Up until now, I’ve gotten my fix of deep-dish pizza primarily from a Chicago-based deep-dish pizza chain, which has locations out here in the Pittsburgh area. A couple of weeks ago my Chief Culinary Consultant and I decided to watch a Pittsburgh Penguins practice that was open to the public on a random Thursday morning (love impromptu field trips!). On the way back we were trying to decide where to go for lunch when we spied one of the pizza chain’s restaurants and we knew immediately that’s what we wanted. It’s pretty much impossible to mention pizza to me and then not go ahead and feed it to me. I will become obsessed with having it. We always enjoy the deep-dish pepperoni, however we were shocked when the pizza came to the table. We hadn’t been there in awhile (probably a couple of years), and stared at our “regular size” pizza in awe. It consisted of six small pieces. SIX. Small pieces! For almost $19. Sheer insanity. There was no question that we needed a homemade alternative to that madness, even though it was delicious. Five days later, we had our homemade recipe. It’s fabulous, and I wanted more the second the leftovers were gone. 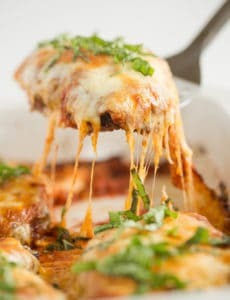 The sauce is thick and chunky, the cheese is gooey, and, most importantly, the crust is buttery, flaky, and delicious. Goodbye overpriced pizza! The secret to the dough is a process known as laminating the dough, which is similar to how you make croissants (although not nearly as involved or time-consuming). You basically roll out the dough, slather it with lots of butter, and then roll it and fold it in such a way that the butter ends up in thin layers within the dough, which creates a wonderfully flaky texture – one of the key components to a great deep-dish pizza. As illustrated below, the dough is rolled out into a rectangle, smeared with butter, and then rolled up into a tight cylinder. You then flatten the cylinder slightly so you end up with a long rectangle. Once you have your long rectangle patted out nicely, you’ll cut it in half (hello knife that still had some basil stuck to it!) and then proceed to fold each half into thirds, like a business letter. Then pinch together all of the seams to seal them up and form two balls. 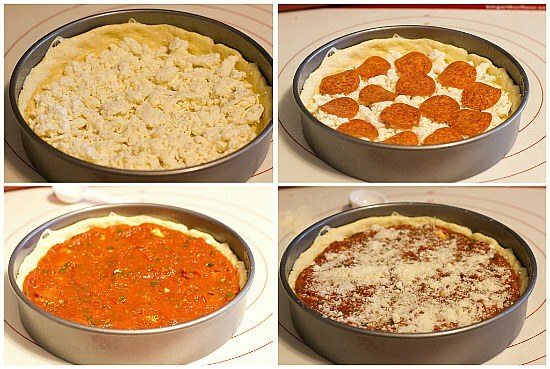 Those go into the refrigerator for a short while, and then you’ll be ready to assemble your pizza. The stint in the refrigerator chills the butter, which is essential for the texture. When cold butter hits a warm oven, it creates pockets of steam, which is how you end up with tons of flaky layers. Once you’re done chilling the dough, you’ll roll it out into a 13-inch circle and fit it into your oil-coated pan. Next comes the cheese (mozzarella is a must! ), throw on any toppings (we love pepperoni) or none at all, and then finish off with your sauce and a healthy dose of Parmesan cheese. 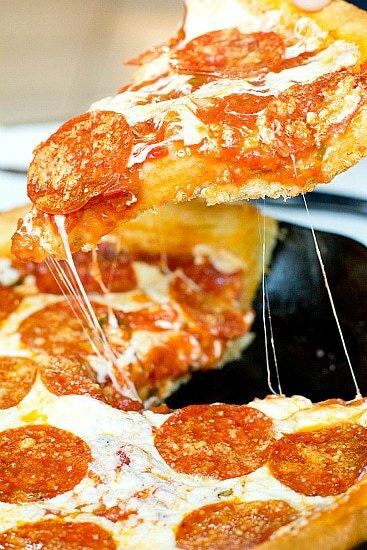 Bake it up, and before you know it, you’ll have crazy delicious pizza waiting for you! This recipe makes two pizzas, so I decided to make one according to the recipe, and to tweak the second one. The reason? I am not a huge sauce fan and prefer my pizzas with a large cheese to sauce ratio, so I wasn’t sure that I would really like an entire layer of sauce on the very top of my pizza. So, for the second one, I made the pizza exactly the same except that I switched up the order of the toppings on the dough. Instead of cheese, toppings, sauce I did a traditional pizza of sauce, cheese, toppings. In the back of my mind I kind of figured that I would prefer it this way, but boy was I wrong! Not that it was bad, of course. It’s hard to make a bad pizza, especially homemade. However, the original deep-dish provided a far tastier pizza, and my Chief Culinary Consultant agreed. I was honestly really surprised! However, I shook my head at myself for questioning a Cook’s Illustrated method in the first place – they are usually always spot-on, and this was no exception. I will definitely go all-in with the traditional deep-dish method from now on! The experimental pizza, however, did provide a really nice gooey, cheesy picture :) Yum! 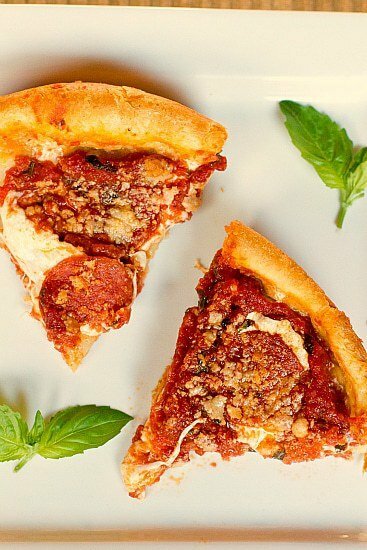 I’m thrilled to have an awesome deep-dish pizza recipe to bake up when the urge hits now. I’d love to try a version with sausage and maybe mushrooms, and a vegetarian one as well. 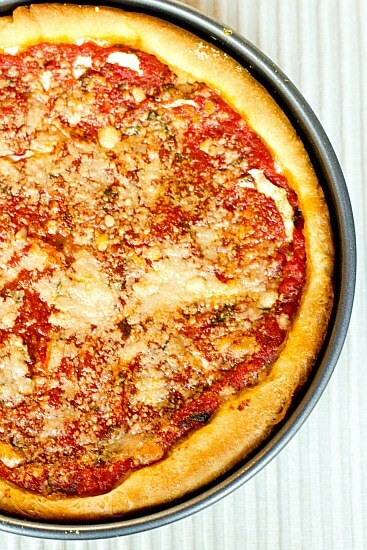 Do you have favorite toppings for deep-dish pizza? Make the Sauce: While dough rises, heat the butter in a medium saucepan over medium heat until melted. Add onion, oregano, and salt; cook, stirring occasionally, until liquid has evaporated and onion is golden brown, about 5 minutes. Add garlic and cook until fragrant, about 30 seconds. Stir in tomatoes and sugar, increase heat to high, and bring to a simmer. Lower heat to medium-low and simmer until reduced to about 2½ cups, 25 to 30 minutes. Off the heat, stir in the basil and olive oil, then season with salt and pepper. 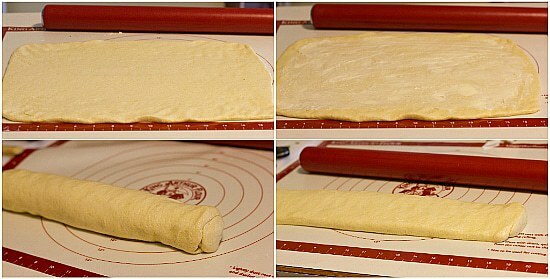 Laminate the Dough: Turn the dough out onto dry work surface and roll into a 15x12-inch rectangle. Using an offset spatula, spread the softened butter over the surface of the dough, leaving a ½-inch border along the edges. 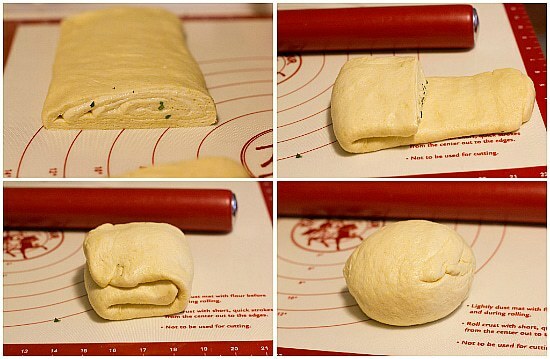 Starting at the short end, roll the dough into a tight cylinder. With seam side down, flatten the cylinder into an 18x4-inch rectangle. Cut rectangle in half crosswise. Working with one half, fold into thirds like a business letter; pinch seams together to form ball. Repeat with remaining half. Return balls to oiled bowl, cover tightly with plastic wrap, and let rise in refrigerator until nearly doubled in volume, 40 to 50 minutes. Meanwhile, adjust oven rack to lower position and preheat oven to 425 degrees F.
Bake the Pizzas: Coat two 9-inch round cake pans with 2 tablespoons olive oil each. Transfer 1 dough ball to dry work surface and roll out into a 13-inch circle. Transfer dough to the pan by rolling the dough loosely around a rolling pin and unrolling into pan. Lightly press dough into pan, working into corners and 1 inch up sides. If dough resists stretching, let it relax for 5 minutes before trying again. Repeat with remaining dough ball. For each pizza, sprinkle 2 cups mozzarella evenly over surface of dough. (If you're using any meat or veggie toppings, add them now, on top of the cheese.) 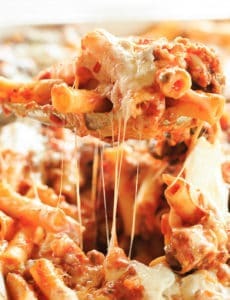 Spread 1¼ cups tomato sauce over the cheese (or toppings) and sprinkle 2 tablespoons Parmesan over sauce. Bake until crust is golden brown, 20 to 30 minutes. Remove pizza from oven and let rest 10 minutes before slicing and serving. Just made a pie. The family loved it. I did a test run just to make sure the kids would eat it. It was a hit. Now I just need to figure out what toppings to do next time. I wish the calorie count was included in the recipe. My wife is doing weight watchers….. the flour and butter really stack up the points. My wife said it was worth it!!!! for the top Do you think some mozzarella would work ok? Hi Mae, Sure! It’s not “traditional” but it will work! 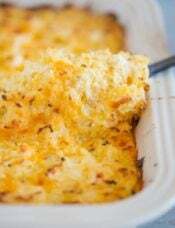 I’ve made this recipe several times, and it’s fantastic! I’m actually making it again tonight and went online to see if I could freeze the dough for the second pizza. And I promptly find a link to your blog which I’m always checking out for your baking recipes. Sure enough, someone else asked the same question and you answered:) Now we can enjoy the other one later on? Do you think I could use this doughl kafir one 12″ pie? wondering if i can make the dough the night before and leave it in the fridge until the following evening to cook it? will it have any effect on the pizza? also, will a springform pan yield the same results as a regular cake pan? Hi Kristen, I have not done that, but a few readers have mentioned that they have and didn’t have an issue. I think a springform pan would be fine as long as it’s the same size (9″). Forgot to add I made the in my bread machine on the dough cycle. I do this for all my pizza crusts. This recipe is AMAZING!! Can the dough be made in advance & frozen? I did make the pizza, cooked, cooled, wrapped tightly and froze w/ good results, but if possible I would like to have some dough in the freezer. Thanks for this recipe!!! Hi Laurie, I’m so glad you enjoy it! I have never tried freezing this dough (although I routinely freeze my regular pizza dough). I think it should work; if you try it, please let me know how it turns out! I have successfully frozen this dough several times. After you have two balls of dough and right before you would roll them out into circles, stop there and wrap each ball in plastic wrap. I then put them in a freezer bag for several months. 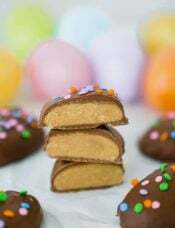 When I needed them, I either took them out to thaw in refrigerator the day before, or I sped it up by placing the wrapped balls in lukewarm water to soak and thaw, placing them back I. Fridge after I roll them out into pans to make sure dough is nice and cold for baking. Thanks for sharing! Lou Malnati’s is the best deep dish in Chicago and they deliver to other states (packed in dry ice). It’s quite expensive though! Their pizza is great because instead of using shredded mozzarella, they use mozzarella slices which gives a nice, thick layer of cheese. Similarly, they use Italian sausage that they form into a patty on the pizza (none of this crumble stuff) and it is amazing. One bonus? If you have someone coming over that’s allergic to gluten, you can order the gluten free version which is the sausage pizza with the sausage on the bottom that serves as the base for the pizza. Delicious! I love your blog so much. Thanks for sharing! Sooooo good. Just made it and the boyfriend ate over half himself. I used a cast iron skillet instead of the cake pans. So delicious. Thank you! My family loves this. I make it about once a month. I have even made extra dough and sauce and then froze them so they would be ready for a special lunch. They freeze great that way. Have you ever made an extra pizza and frozen it after it is baked? 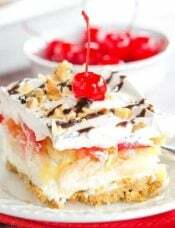 I would love to make a few and freeze them for my college boy? What do you think? Hi Lori, Awesome to hear this has been such a hit with your family! I have not frozen baked and cooled pizzas. I think it would be better to assemble it, then freeze it and bake it. I LOVE Chicago style deep dish pizza! I am from Milwaukee, WI and it’s only about an hour and a half drive to Chicago… When ever I would make the journey down there I would try to make the time to stop for some. Now I am living on the west coast and I have been craving some authentic Chicago style pizza for a while now. 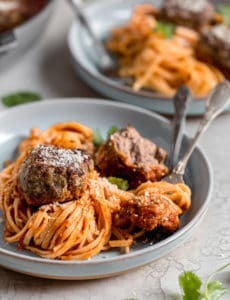 I just made this recipe today and LOVED it! I am used to the sauce being more on the sweeter side though, but it was still delicious. I made a second batch to freeze and bake later. 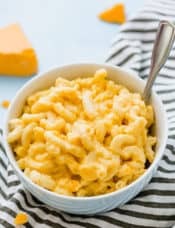 Would you recommend baking it from frozen or maybe sticking it in the fridge the night before to thaw before baking it? Hi Nellie, I’m not sure if you meant that you made an extra batch of sauce or dough, or a whole pizza. If you assembled an entire pizza and froze it, I would bake it straight from the freezer; you may need to add some extra minutes to the baking time. If it’s just the sauce or dough, then I would put it in the refrigerator the day before you plan on using them. 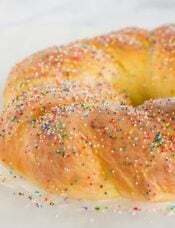 I’m going to make this in my cast iron skillet. Do you think I need to make any time adjustments? Thanks! Hi Kel, No, no time adjustments are necessary. Hi, there, Brown Eyed Baker! We love your enthusiasm for Chicago Pizza. but you’re falling into the Cook’s Illustrated trap. 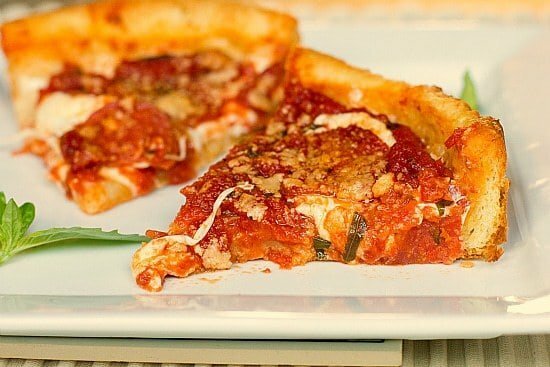 Laminated dough is NOT authentic Chicago deep dish. And lose the cornmeal. It’s a myth. excellent recipe !!! !Have been making since last year! !you can use the quick rise yeast and save some time because after dough rises it needs to be refrigerated with the butter layers .I put red peppers and Italian sausage in my sauce and use the can of crushed tomatoes for a thicker sauce! Best pizza I have ever made!!!! Worth every minute!!! Thank you for this!!! I lived in the US for 2 years, and since I got back to Brazil I’ve been craving for Chicago deep dish pizza! Love the recipe! Thanks! Good evening, I love pizza also and want to learn to make my own. I am held back by fear of making crust. I can’t get it right. Biscuits. Nope. But I am willing to try this recipe but with a twist. In Chicago there’s Gino’s east and their crust is a cornmeal crust. That’s what I want to do. Any suggestions on adding cornmeal? If I’m going to jump in…. Hi Brian, Great to hear you enjoyed your time in Pittsburgh! Unfortunately, I’ve never made a pizza crust with cornmeal, so I can’t offer up any advice in that area. Ohh my word! This was to die for! My husband and I made it over the weekend to go with some football watching! The crust is so buttery and tasty! We added some crumbled sausage with the pepperoni! 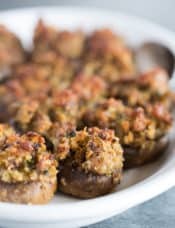 I have been recommending this recipe to all of my cooking friends since making it! I too suffer from the hear-“pizza”-want pizza disease,……. What a wonderful disease :) just found your site, great job. You have just earned another reader. Hi Kat, Cornmeal is really instrumental in the taste and texture of the pizza dough, I would not recommend skipping it. Hey! I’m making this big date night for my boyfriend this Friday. And I was planning on making regular (store bought pizza) but I feel like this would taste 8million times better, and with the looks of it, it fits into my schedule to prepare. But I was very curious on who actually has tried it and how it came out? (And their experience with it). Cause I feel like if anyone could mess this up it’d be me. Next time you make this try and make a stuffed Chicago Style pizza. I had one from Beggar’s Pizza (some of the best thin crust pizza ever) and it was amazing. They make a Chicago style deep dish pizza and put a layer of dough on top of the sauce and then put some more sauce on top of the dough. I was dying to make the deep dish and i tried tonight, i followed exactly your recipe (which was very precise and helped master the deep-dish) and it turned out great! thank you so much!! !